VAT is a complex tax and dealing with it correctly can save your business thousands of pounds however getting it wrong can be very costly. SeavorChartered offer a full VAT service, from completing your businesses VAT Returns and submitting them to HM Revenue & Customs on your behalf to providing advice on whether VAT registration is right for your business, what HM Revenue & Customs VAT schemes can save your business money and advice on complex transactions. 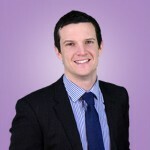 Graeme has significant VAT experience which can benefit your business. Having qualified as a Chartered Tax Adviser specialising in VAT, Graeme studied with Tolley Taxation in London before becoming the Tax Manager and VAT Specialist for a local accountancy practice. Only a handful of advisers have qualified as Chartered Tax Advisers specialising in VAT in the country. VAT Registration is compulsory for businesses who exceed the VAT Registration threshold. However careful consideration should be give to VAT registration. Registering at the right time has the potential to save your businesses thousands! SeavorChartered can advise on VAT Registration and when and if it is right for your business. The VAT Flat Rate Scheme (VAT FRS) is available to small businesses. The VAT FRS not only can make it easier for small businesses to calculate their VAT liability it can also produce a VAT saving. We review whether the VAT FRS is beneficial for all our small business clients. The VAT Cash Accounting scheme allows a business to pay VAT when it has received payment and recover VAT when they have made payments to their suppliers. Using the cash accounting scheme can result in a cash advantage for your business and we can discuss the potential benefits of the scheme with you. Do you like to spread the cost of your bills rather than pay in one lump sum? Do you also like to know when and what you are paying? If so the VAT Annual Accounting scheme may be for you. Using this scheme you pay the VAT owed throughout the year in nine equal installments based on last years VAT liability and are only required to submit one annual return cutting down on the admin. The VAT standard accounting may be right for your business. Under the standard VAT accounting scheme you pay and recover VAT based on when you raise and receive invoices. Giving careful consideration to the standard VAT accounting scheme your business can benefit. SeavorChartered advise all our clients on whether standard VAT accounting is right for their business. If you sell goods or services to customers outside the UK then the rules on whether you should or shouldn’t charge VAT are complex. SeavorChartered can advise and provide reassurance that you are charging VAT correctly. If you sell digital or telecommunication services and products we can also advise on how VAT MOSS would help your business meet its VAT obligations. If you provide some standard rated and exempt supplies your business is partially exempt. We can advise on the de-minimis rules and ensure you apportion your input VAT correctly to maximise your recoverable VAT and minimise your VAT cost. If you work in the construction industry VAT can be complex and we can advise to ensure you charge and are charged the correct rate of VAT. We advise a number of businesses in this sector to ensure they deal with their VAT correctly and don’t pay any more VAT than they need to. If you are in the process of developing your own home or converting from a commercial property you can recover the VAT you are charged on building materials by submitting a VAT DIY (Do It Your-Self) to HM Revenue & Customs. You want to ensure you maximise the VAT you can recover and ensure you are not charged VAT incorrectly. SeavorChartered can provide advise and complete the necessary paperwork on your behalf. If you would like to discuss your business’ VAT obligations why not give us a call on 01228 904904?